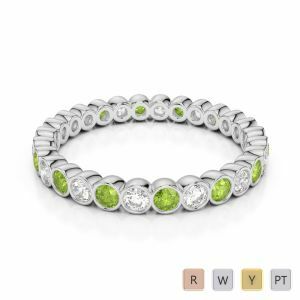 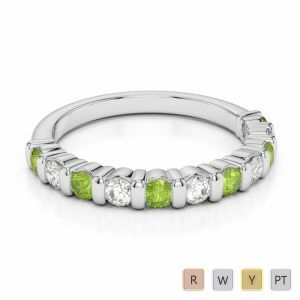 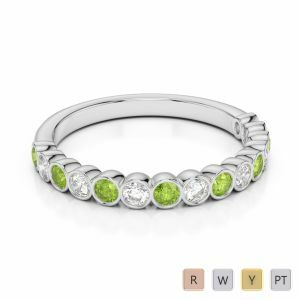 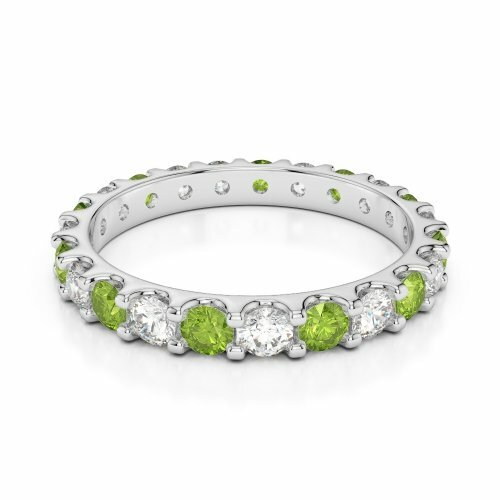 Get the glitter back in her eyes by presenting her with a quaint eternity ring fashioned out of the lime green Peridot and sparkling diamonds. 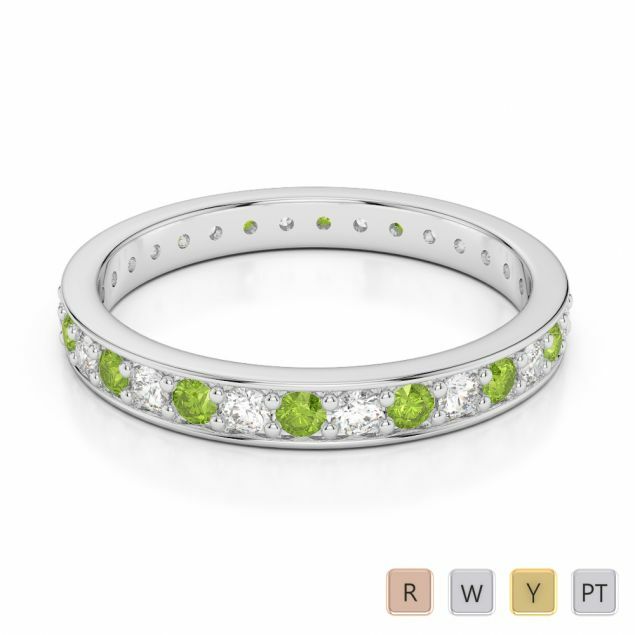 Settle for a half eternity if you do not want her petite finger to be burdened with the gemstones. 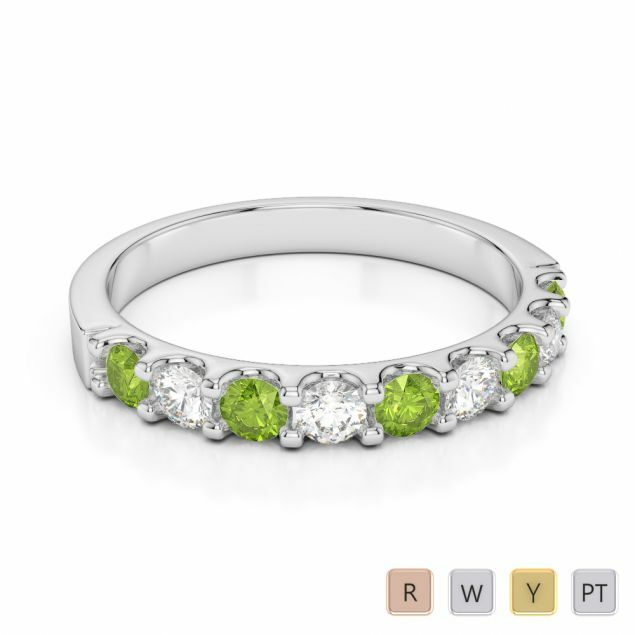 Choose wisely and go for the setting that she is going to love absolutely. 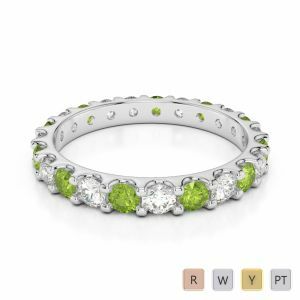 The yellow metal of gold works as much as the stark silver of platinum or the white gold when Peridot happens to be the hero.